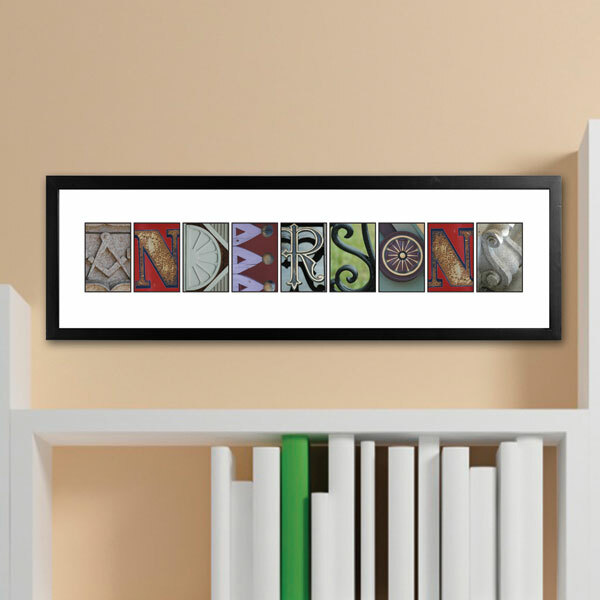 The Architectural Elements Family Name Print features a black wood frame that measures 26" x 10" with an inside area of 7 3/4" x 23 1/2". Each letter is taken from an element of architecture mounted in a white mat. Acrylic front. Hanging hardware included. Personalize with last name of 5 to 10 characters. Allow 2-3 weeks. No rush delivery or gift box. Item can only be shipped within the Continental US.